If your child is having difficulties in maths, then Private BMH Tuition in Birmingham is the answer. Our development programme is aimed at students aged 6 – 16. It is crucial for your child that any maths difficulties are identified and addressed early. As part of their progression, students need a thorough understanding of the basics in maths tuition Birmingham, and our tutors create a positive learning environment that encourages natural achievement. 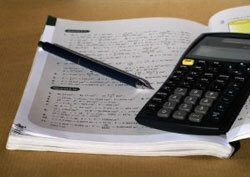 Maths Tuition Birmingham are the perfect solution to your worries. We offer specialist home tuition or as an alternative your child can join our small groups.